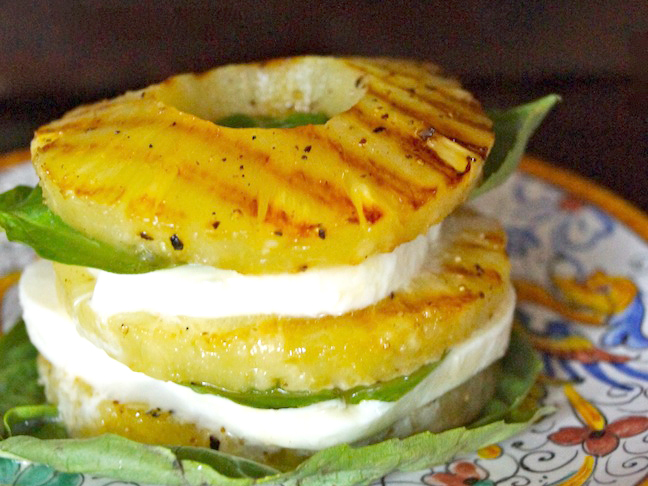 Some classic recipes just need a simple twist for a kid to like it, or even love it. Maybe your kids are more adventurous eaters than mine, but mine typically turn away anything green. And if you mix anything with the green, they call it a salad, which they really don’t want. I’ve explained many times that a tomato is a fruit, but they aren’t so sure. 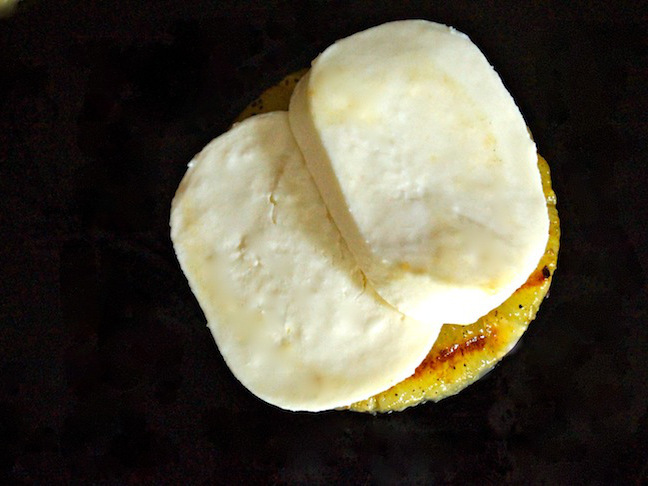 So I switched up the classic Italian caprese (tomato, mozzarella, and basil) and used grilled pineapple instead of tomato, and my kids love it. And guess what? As a result, they now love basil, too. Step 2: Drizzle the slices with about half of the oil and use your finger to be sure they're evenly coated. Then sprinkle them with a bit of the black pepper. Flip them over and use the remaining oil and pepper on the other side. 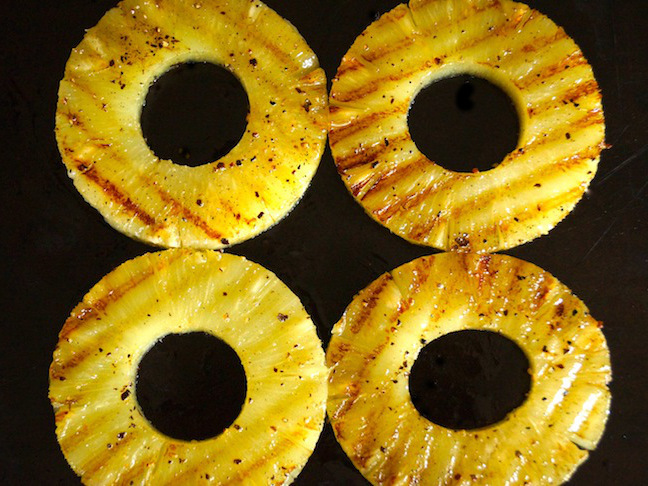 Step 3: Once the grill is hot, add the pineapple slices. (You should hear a sizzling sound when they hit the grill---if you don't, it's not hot enough yet.) Grill both sides just long enough to mark them with the grill, 1 to 2 minutes per side. Cool at least to room temperature. 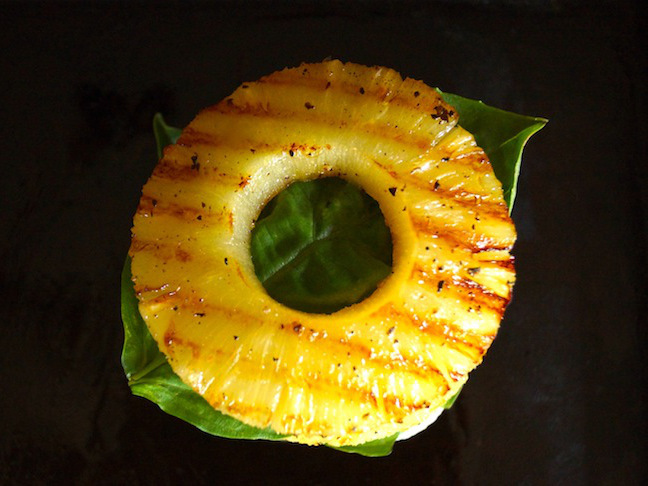 Step 4: Place one grilled pineapple slice on two serving plates. 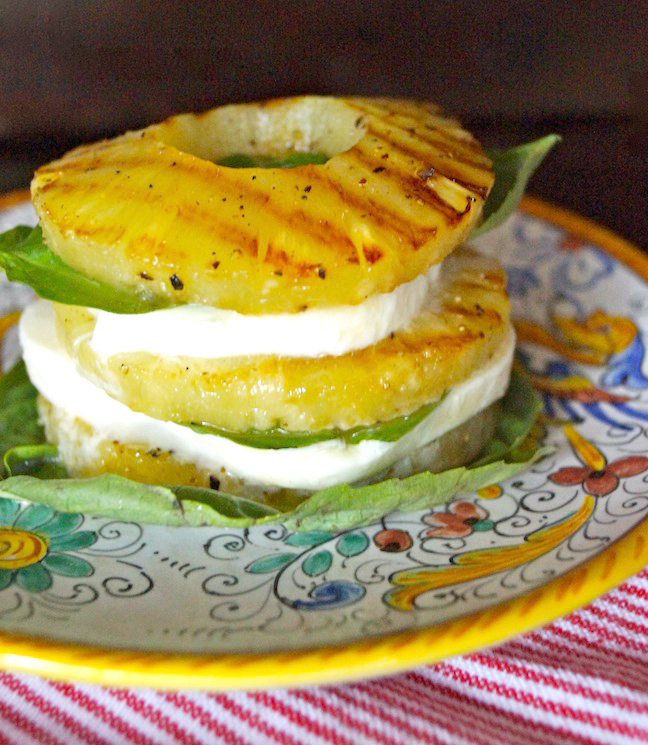 Add 1 to 2 slices of the mozzarella on top---there should be enough cheese to cover most of the surface of the pineapple. 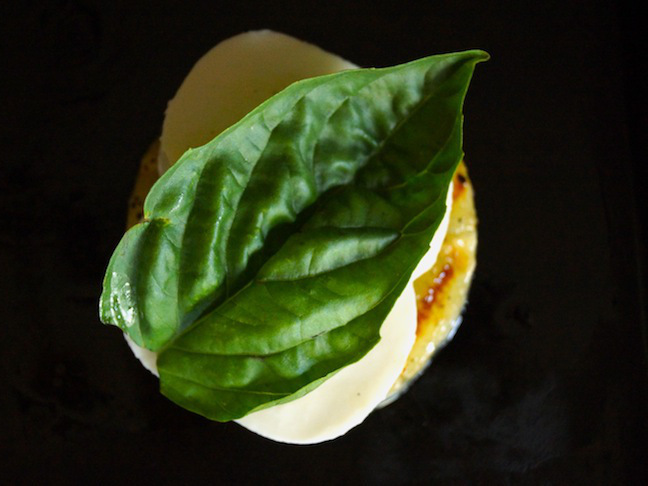 Step 5: Add 1 large basil leaf to each one. 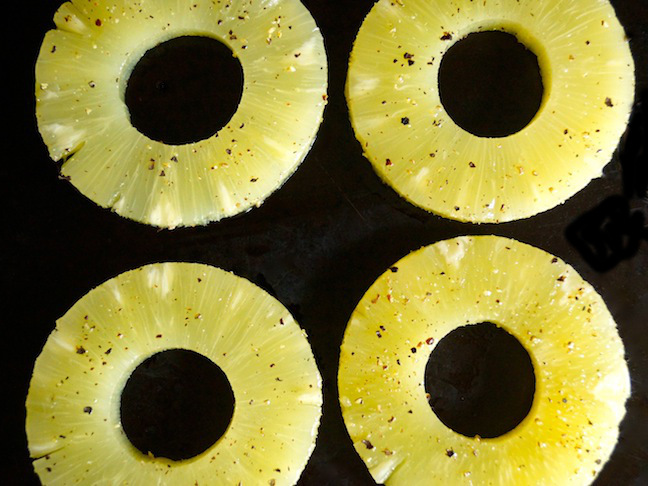 Step 6: Repeat this process, finishing with the last pineapple slices on top.